Under normal operation, turbine blades must be able to resist high pressures, centrifugal forces and temperatures over 1000°C. When turbine engines work at full power, the tip of turbine blades can rotate at 1,600 km/h, exceeding the speed of sound. Furthermore, these centrifugal forces can apply loads over 10 Tons for each blade. For this reason, blade inspection is an important step of turbine blade manufacturing. Turbine blades are designed for optimum aerodynamics. Therefore, inaccuracies in blade geometry and positioning can cause efficiency loss and blade failure. To guarantee optimum efficiency, tight tolerances apply to the geometry of turbine blades. 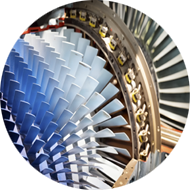 Controlling the temperature of gas turbines is critical to develop more efficient gas turbines. Turbine blades are the limiting component of gas turbines. To survive in these extreme conditions, turbine blades use cooling methods such as internal air channels. The introduction of additive manufacturing (3D printing) has enabled designers to create new designs in less time. Turbine blade 3D printing also allows improving the cooling systems by using more complex labyrinth air channels. However, the classical inspection and thermal validation proces is a bottleneck in the manufacturing process. Sensor Coating Systems specializes in thermal coating technology for turbine blades. They provide an automated solution for temperature mapping and blade inspection in extreme environments. This thermal mapping technology consists of a sensor coating that records the maximum temperature to which the blades have been exposed. This memory sensor allows reading the temperature off-line. 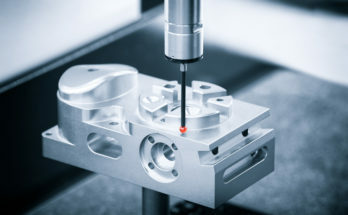 Sensor Coating Systems provides a novel, unique measurement technique to measure high temperature in machinery which is operated under combustion conditions or in any other hot conditions. The novel automated process enables the temperature mapping to be digitized to accelerate the engineering design process and improve significantly the validation processes. Managing Director, Sensor Coating Systems Ltd. The temperature mapping is done automatically with a robot. Furthermore, the temperature distribution is directly projected onto the designer’s CAD drawing. This blade inspection method allows validating that the maximum temperature was not exceeded and the turbine cooling system works properly. Sensor Coating Systems’ thermal mapping technology decreases the time needed for validation because it makes the automated inspection easier. 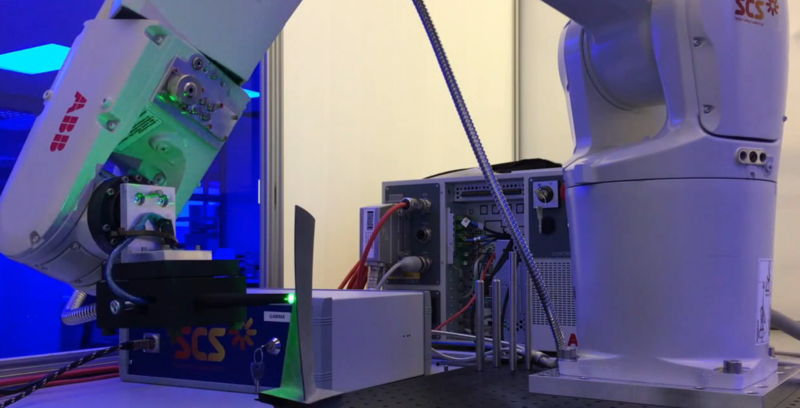 Sensor Coating Systems implemented this thermal inspection system using an industrial robot. 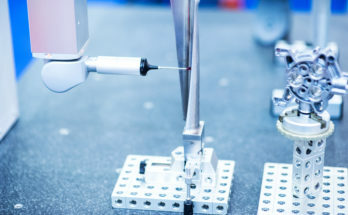 More precisely, an ABB IRB1200 robot arm. 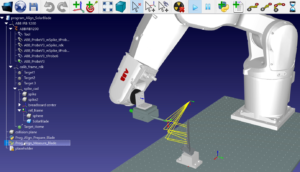 They also use RoboDK software for simulation and offline programming. With RoboDK you can accomplish robot programming offline. In this case, a program made in Python guides the robot during the blade inspection process. Robot programming is an important step to make sure the location of the part is appropriate and all the inspection points can be reached. The simulation can quickly show any program issues that you could have. These issues include: reachability, robot singularities and collision detection. The simulation happens offline without using the real robot. The script executes the simulation and programmed in RoboDK and moves the robot through various locations of the part. The robot takes temperature measurements with a probe at the desired locations. Finally, an automated algorithm maps the measurements to the 3D model of the part. We used RoboDK to integrate with an industrial robot for the first time with great development speed and a steep learning curve. 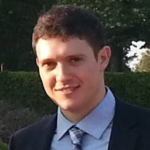 Automation & Instrumentation Engineer at Sensor Coating Systems Ltd.
Sensor Coating Systems is based in London, United Kingdom, and works with some of the main manufacturers of the gas turbine and jet engine market. For more information visit Sensor Coating Systems’ LinkedIn profile. Do you want to learn more about robot programming?